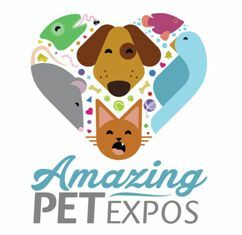 Pet lovers across the country are invited to submit their best Amazing Pet Expos’ mascot name suggestion for a chance to win lots of cool prizes, including the Grand Prize: a year’s worth of Tiki Dog® or Tiki Cat® gourmet pet food. St. Louis, MO - Amazing Pet Expos, producers of over 131 consecutive pet expos since 2009, has teamed up with TikiPets, the award-winning makers of Tiki Dog and Tiki Cat gourmet pet foods, to present the Name the Pet Expo Mascot Contest. Between April 20 and June 1, 2016, pet lovers are invited to submit their most creative mascot name suggestion for a chance to win super fun prizes, including an amazing Grand Prize consisting of one year’s worth of super-premium gourmet cat or dog food for their best pet friend, courtesy of TikiPets. Amazing Pet Expos is thrilled to partner with TikePets, a company whose mission is in direct alignment with their own as they both work “to make positive change in the pet industry.” Not only has Amazing Pet Expos been the first company to produce large consumer events for pet lovers nationally but, in similar fashion, Tiki Cat and Tiki Dog were the first true super-premium gourmet pet food brands to hit the market on a national scale, quickly becoming famous for featuring biologically appropriate, grain-free, human grade, whole shredded or sliced meats and seafood recipes.